A versatile, entry level weigh-filling machine capable of handling a wide variety of dry, free-flowing products and designed to meet the needs of busy retailers, manufacturers and wholesalers. For pack sizes from 100g up to 6kg (depending on product characteristics) and with a throughput of around ten 1kg packs per minute, the Proweight Standard Semi-Automatic Batch Weigher can maintain accuracy of +/- 0.1% on every pack - all day, every day. Pack weights are simply entered via the keypad and flow speed can be controlled manually for adjustment to suit individual products and operators. Fitted with manually operated tipping pan and with either manual or automatic start, your Proweight Batch Weigher will be ready to pack whenever you are. 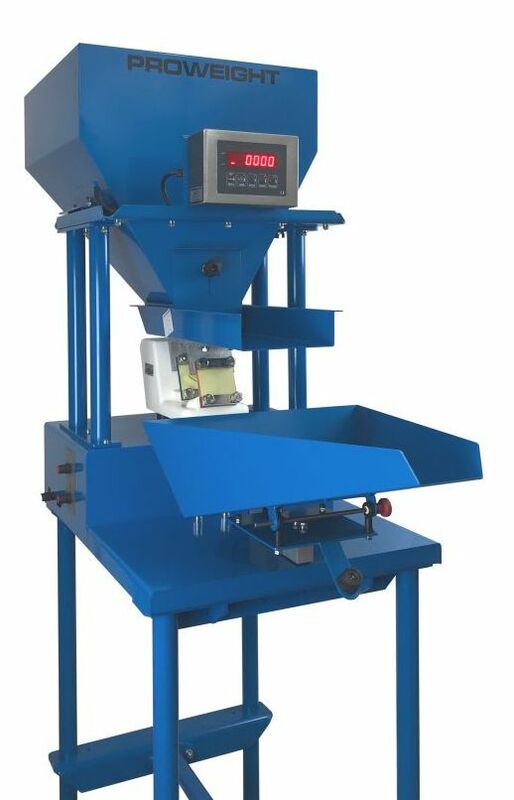 With a tough, powder-coated mild steel finish on Standard models, Proweight Batch Weighers are easy to clean, set up and operate and are designed to discharge the product at a comfortable working height for manual packing into your own bag, box or container. 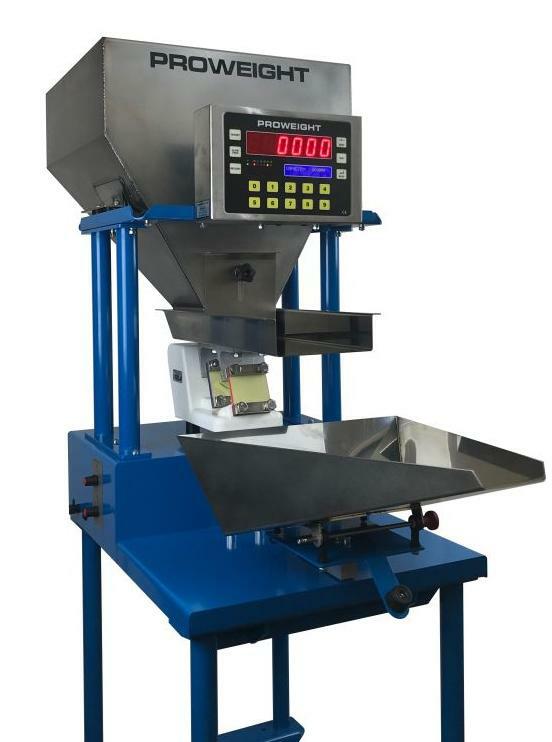 See a Proweight Semi-Automatic Batch Weigher in action on Youtube here.